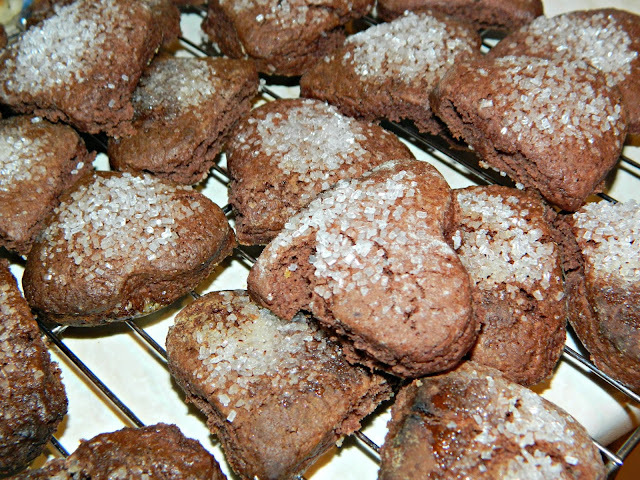 I made Red Rose Daddy some chocolate heart-shaped cookies as his Valentine's gift. They weren't the prettiest biscuits ever but he is enjoying them. They taste a bit like Bourbons.